Shaun was born in New Zealand and was raised in Perth, Australia. In 1993, he was ranked #2 in Western Australia under 18's and #10 in all of Australia. In 1994, at Wichita State University, he was a top 100 Singles player in NCAA Div. 1 as well as a top #20 ranking in Doubles while earning his BA in International Business. Shaun earned his MBA at the University of Louisiana where he also held coaching duties in 1998 – 1999. Shaun has advanced his career with teaching positions at Maidstone Club, East Hampton, NY, Towpath Tennis Club, where he was Jr. Tennis Director, and most recently at River Oaks Athletic Club where he was the Head tennis Pro and Director of Junior Development. Shaun is a USPTA P-1 certified professional. He currently is the head coach and administrator for USTA NEO Competition Training Centers. He also is the head coach for men's and women's tennis at John Carroll University. Shaun was a member of the 2005 USTA National Champion 5.0 team. Dean began playing the game of tennis at the age of three. His father started him off at an early age...and he hasn't stopped playing yet. He continued his play at Wickliffe High School where he then went on to play in college. Morse graduated with a B. A. in Education, with a health and physical education degree from Baldwin Wallace College where he played tennis all four years and was the captain of the team for his last two years. During this time, Morse had a thirty-five match consecutive win streak and set many school and conferences records. Dean is a Certified USPTR and USPTA professional and taught at the Cleveland Racquet Club for his first three years of teaching where he was the Assistant Junior Tennis Director. He was also the clubs head stringer. Dean has attended the USTA High Performance coaching and training seminar at Key Biscayne. Dean has also helped to coach Perry High Schools Tennis Team, and is currently the head coach at Archbishop Hoban High School in Akron, OH. He is highly motivated and very enthusiastic about everything he does. He hopes to develop great programs here at Paramount and looks forward to working with you on and off the court. Dean is a USPTR and USPTA certified tennis instructor. Beth Schaefer Winquist is a native of Medina, Ohio and has been a USTPR/USPTA certified tennis instructor for over 20 years. As a junior Beth was ranked #3 in the USTA Midwest Region as well as in the top 100 nationally. She graduated from Medina High School in 1990 and was a 4-time state qualifier. In 1988, she paired with her sister to finish 2nd in the State High School Doubles Tournament and individually, in 1990, finished #3 in singles. Beth graduated with a sports management degree from North Carolina State University. There she played #1 singles and doubles for the Wolfpack. Beth was captain her senior year and her highest NCAA National ranking was #30. After college, Beth was the Head Teaching Professional at Timuquana Country Club in Jacksonville, Florida and also served as their Interim Director of Tennis for several months. In 1996, Beth brought her love for tennis back to Ohio as an Assistant Tennis Professional at Springside Racquet and Fitness. Since working at Springside, Beth continues to further her tennis education receiving her certification as a Cardio Tennis Instructor and most recently has studied under world renowned personal trainer Pat Etcheberry receiving her certification from him in exercise and conditioning for tennis players. Beth has played USTA Women's 5.0 for Springside as well as captained the NEO USTA Fed Cup team. Along with numerous local and state tournament titles, Beth has won a USTA "gold ball" capturing the USTA National Women's Amateur Hardcourt Doubles title. She also was ranked #13 nationally in the USTA Husband/Wife Mixed Doubles Division. In 2002, Beth was inducted into the Medina County Sports Hall of Fame. Beth currently resides in Medina, Ohio with her husband, Dean, and three children, Kyle(12), Ryan(10), and Amanda(8). Larry is a certified USPTA professional and taught tennis at River Oaks Racquet Club for five years after college before entering the computer programming profession. He worked as a computer programmer for 34 years and retired from that profession in 2013. Dister was the adult ranking chairman for the Northeastern Ohio Tennis Association for 18 years and was the girls' tennis coach at Brunswick High School from 1998 through 2001. He also constructed a clay tennis court in his backyard where he taught his five daughters, who all played for Brunswick High School. Two of his daughters advanced to the state tournament and two went on to play collegiate tennis. As a player, Larry played collegiate tennis for NCAA Division I Bowling Green State University. 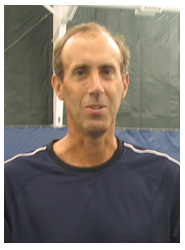 A former 5.0 level player, Larry was a member of the Northeastern Ohio 4.5 Senior USTA League team that won the national championship in 2003 and was runners up in 2005. Larry grew up in Westlake, Ohio and has been married to his wife Cindy for 40 years. They live in Brunswick Hills and have five daughters and fourteen grandchildren. Adam is a USPTA certified teaching professional with a P1 rating. Adam is a resident of Oberlin and was most recently the men’s head tennis coach at Oberlin College, a position he has held since 2006. Adam has extensive experience with Junior and Collegiate level players. He has been involved for many years in the running of tennis programs for Nike and Yellowball tennis camps. Adam received his Bachelors degree from Oberlin College and a Master of Arts degree from the University of Alabama. Adam’s enthusiasm on the courts is contagious and he makes learning tennis and improving your game fun and rewarding. 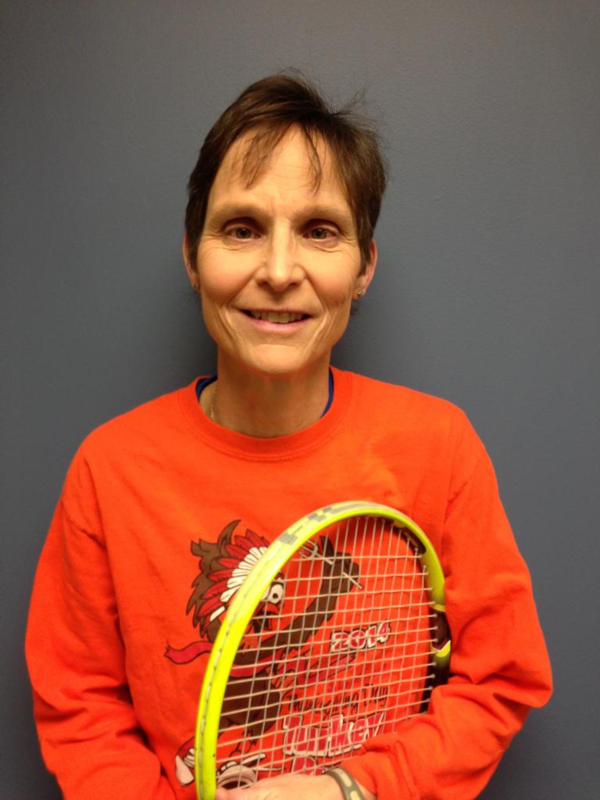 Elizabeth is a PTR certified tennis instructor and has been teaching and coaching for over 30 years. Elizabeth played at the University of Missouri-Rolla at #1 singles and doubles along with playing basketball and running cross country. Elizabeth has a Bachelor’s of Science Degree in Applied Mathematics, a Master’s Degree in Education and a Master’s of Divinity. 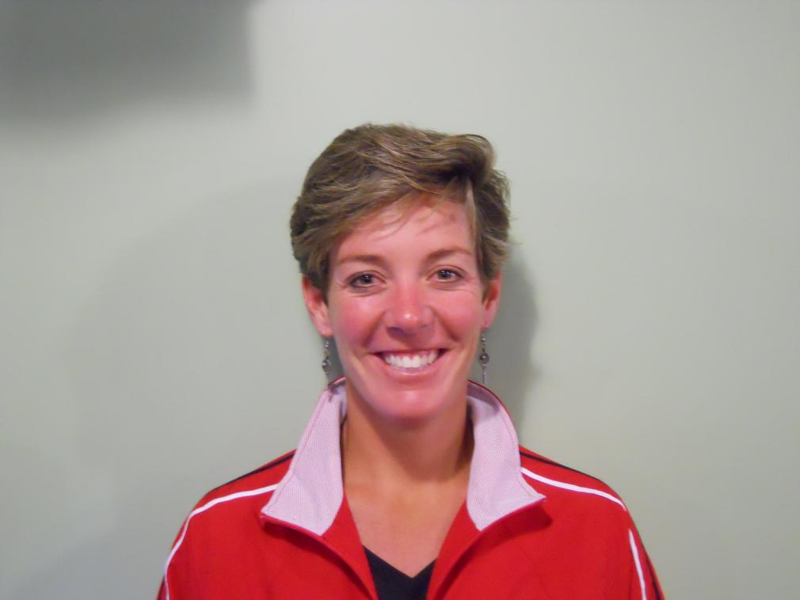 Elizabeth coached the men’s and women’s tennis teams at Central College (Iowa), the women’s team at the University of Wisconsin-Stout, and currently is a volunteer assistant coach for the tennis teams at Highland (Medina) High School. Elizabeth served as the Vice President of the Missouri Section of the USTA and recently taught for 4 years at Washington Courts in Medina. Elizabeth grew up in Iowa, serves as the pastor at Living Word Lutheran Church in Medina, has 6 children and has been married to her husband, Gary, for 30 years and counting. Elizabeth is also a very proud grandma. Adam Perkins is a graduate of Cleveland State University where he received his degree in Sociology with a minor in Sports Management. Beyond playing tennis for CSU for four years he is a four time Horizon league champion and a four time National Qualifier. He also played tennis at Geneva High School under Phil Dubsky. 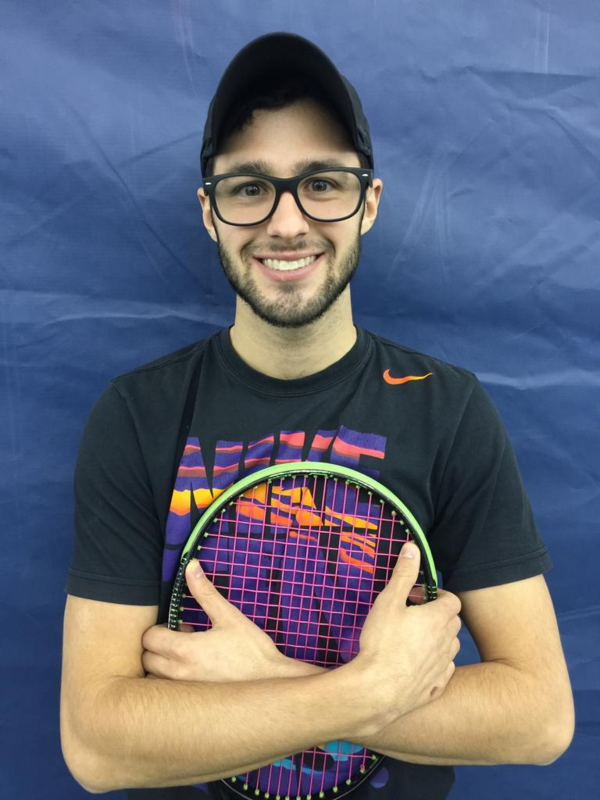 After serving as Junior Director at an area club, Adam joined Paramount Tennis in June of 2015. Adam is a USPTA certified instructor who has been teaching since 2007. He is an accomplished racquet stringer, an active player and works with both juniors and Adult groups.